A dog owner has offered a £50,000 reward after thieves held his children at knifepoint and stole 11 puppies. 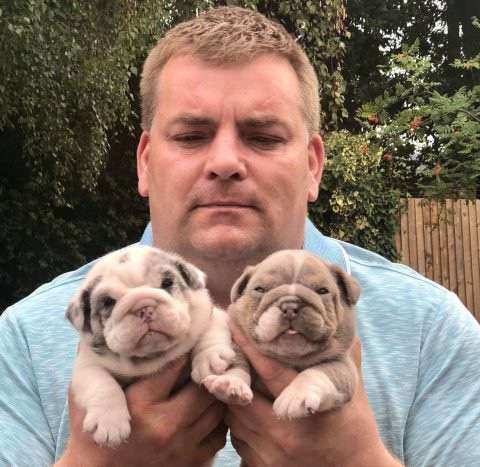 Mark Orley, 44, has taken the law into his own hands with a desperate appeal to get his seven French Bulldog and four Dachshund puppies back. He said his daughter, 13, and son, 16, were looking after the dogs at their Loughton, Essex, home when three men, pretending to be from British Gas, knocked on their door. Mark initially offered £20,000 for ‘one name’, and added: ‘I will deal with it myself’. Dad covers house in 50,000 Christmas lights Posting on social media, Mark said: ‘Reward increased to £50,000. For the safe return of my puppies. These puppies could die in the next 24 hours as four of them are away from their mother’s milk and too young to be weaned.’ Mark said on Tuesday: ‘I’m absolutely heartbroken. It is horrendous what I’m going through I can’t leave my house without fear of it happening again. They are cowards. ‘I only left it unattended for two hours. I don’t usually go out, due to the puppies. The children have gone to their mums because they are scared to live in the house at the moment. Mark, who has been a dog breeder for nine years, said in the video: ‘£20,000 reward Essex area. These dogs too hot to handle. ‘They have been stolen from my house this morning with my two kids being held at knifepoint by three black people. ‘Only been out the house less than an hour. Get sharing and tagging people because I won’t be resting until I get these b*******. ‘I live in a close where everyone has cameras. Police there now who will be the checks on all the motorways. All I want is a name inboxed.’ Mark said the Dachshund mum had been ‘crying for her pups all night’. A spokesman for Essex Police said the force was investigating the incident. White van driver prowling streets trying to abduct people He said: ‘We are investigating following a burglary in Loughton where a number dogs were stolen. ‘Three men forced their way into an address in Hogarth Reach at around 2pm on Monday, 29 October. They threatened someone inside before stealing a number of French Bulldog and Dachshund puppies.’ If you saw or heard anything, have CCTV, were driving in the area and have dash cam footage or have any information please call us on 101 quoting the crime reference number 42/157577/18. Alternatively you can contact Crimestoppers 100 per cent anonymously on 0800 555 111. 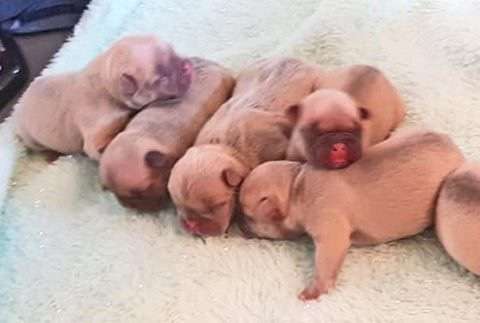 This incident follows on from another in Greater Manchester on Saturday where eight newborn French Bulldog puppies were stolen by two armed men. Six out of eight puppies taken died, but the two others have since been renuited with their mum.